I have been a fan of IAMX since I first heard their single ‘Spit it Out’ while on tour in 2006. I was impressed not only by the songwriting and production (all done by the very talented Chris Corner) but also by the unique style and authenticity of this band. That being said, I recently had the pleasure of remixing the title track from IAMX’s latest record – ‘Volatile Times’ [BMG/Rough Trade]. From my experience, most remixes present a certain set of challenges which arise from the unique source material each artist gives me to work with. Some examples would be over-effected tracks or a lack of usable lyrical content. While it’s true that these challenges can sometimes be creatively stimulating, I find they are (for the most part) time consuming and detract from my overall vision of a mix. On rare occasions, I run into a mix which has none of these challenges. Such was the case with this IAMX remix. In fact, there were simply too many great vocal hooks, poignant lyrics and interesting musical lines to include them all in my mix! While I enjoyed cutting up and reconstructing the unique vocal stylings and refreshing instrumentation of ‘Volatile Times’, my favourite aspect was tracking some bass guitar for several sections of the remix. Normally I stay away from my stringed instruments when I remix but this mix called for it. I also had fun incorporating some new audio software including some toys from the cool folks at Twisted Tools. The ‘Volatile Times (Clayton Worbeck Mix)’ will be released later this fall. I will post a clip and more details in the coming weeks. For those following my remix work, this is the first remix I have released since the two tracks I remixed for Filter’s fifth studio album ‘The Trouble with Angels‘ last summer. I took a break from remixing to move the Sonic Sietch into a new location where the immediate focus was finishing up a movie score and soundtrack for Stayte’s documentary ‘Walking in the Land of Wind and Ghost‘. I will be remixing more material soon and will definitely be crossing paths with IAMX for some future musical endeavours. *Not surprisingly I was unable find a YouTube video for this track. However I did manage to unearth a picture of the controller that was built specifically for performing and recording this song. I heard a lot of the demos from this record well before it was released and was really excited about where Filter was going on this new recording. By the time I was contacted for some remixing, the album had just been finished and was headed to mastering. Upon first listen, I was stoked to hear the grit of ‘Short Bus’ mixed with the radio-friendly vibe of ‘The Amalgamut’. Clearly the effort poured into a full record release cycle with ‘Anthems for the Damned’ really paid off. For me, ‘The Trouble with Angels’ sounds like Filter returning to where they left off in 2002. The return of Filter to those deep-seated yet catchy industrial rock roots is evident in both of the tracks I remixed: ‘The Inevitable Releapse’ and ‘Drug Boy’. Some definite highlights of remixing Filter this time around were bringing to light the ridiculously heavy bass line in ‘The Inevitable Relapse’ and constructing the hallucinogenic bridge in my ‘Drug Boy’ mix. As with the ‘Remixes for the Damned’, working with Richard’s vocals is always a pleasure and I very much look forward to hearing the next installment in the Filter catalog. The Inevitable Relapse (Clayton Worbeck Mix) can be found on iTunes and on the physical Rocket Science deluxe edition of ‘The Trouble with Angels’. The Drug Boy (Clayton Worbeck Mix) is a little harder to hunt down. I did a full version (which I don’t think is commercially available) and a shortened club mix which is available from Nuclear Blast Records. I am currently on a plane to Orange County, California. And after my second over-priced Heineken, I feel very confident that this is a good time to start a new blog. So as a first entry, let me explain a bit about what I hope to achieve with this piece of cyberspace real estate. The blog is called ‘Tales from the Sonic Sietch’ and will focus on my relationship with music and music-making technology. This will include any news related to my current and former projects and any projects to which I lend my remixing or other music production energies toward. 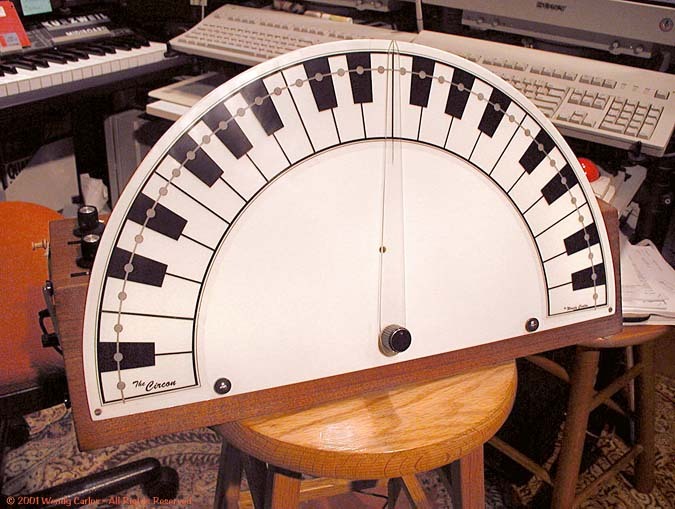 I will also include articles about the latest in music gear. 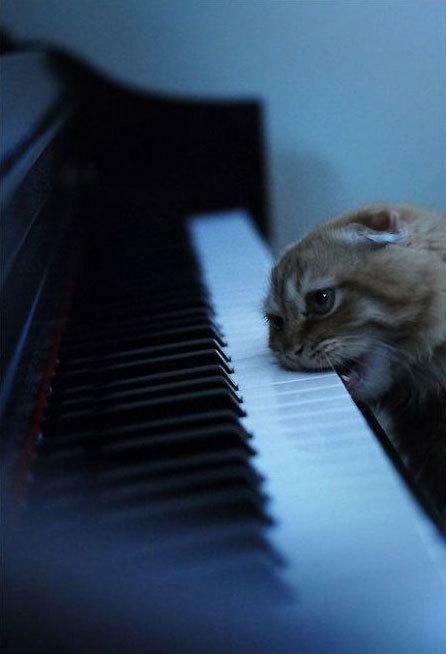 Now that I’ve outlined things a bit, please enjoy this picture of a cat chewing on a piano. do ra me fa so la te nom!